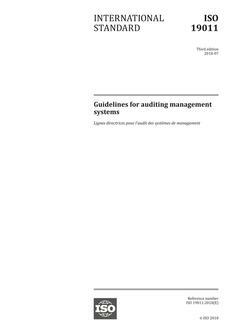 BS EN ISO/IEC 17021-1:2015 contains principles and requirements for the competence, consistency and impartiality of bodies providing audit and certification of all types of management systems. Certification bodies operating to this part of ISO/IEC 17021 do not need to offer all types of management system certification. 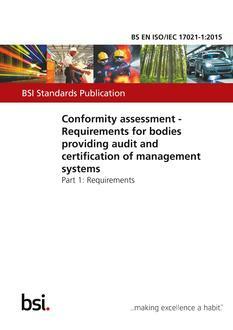 Certification of management systems is a third-party conformity assessment activity (see ISO/IEC 17000:2004, 5.5) and bodies performing this activity are therefore third-party conformity assessment bodies. NOTE 1 Examples of management systems include environmental management systems, quality management systems and information security management systems. NOTE 2 In this part of ISO/IEC 17021, certification of management systems is referred to as "certification" and third-party conformity assessment bodies are referred to as "certification bodies". 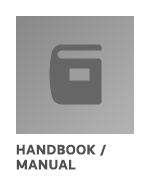 NOTE 3 A certification body can be non-governmental or governmental, with or without regulatory authority. NOTE 4 This part of ISO/IEC 17021 can be used as a criteria document for accreditation, peer assessment or other audit processes.